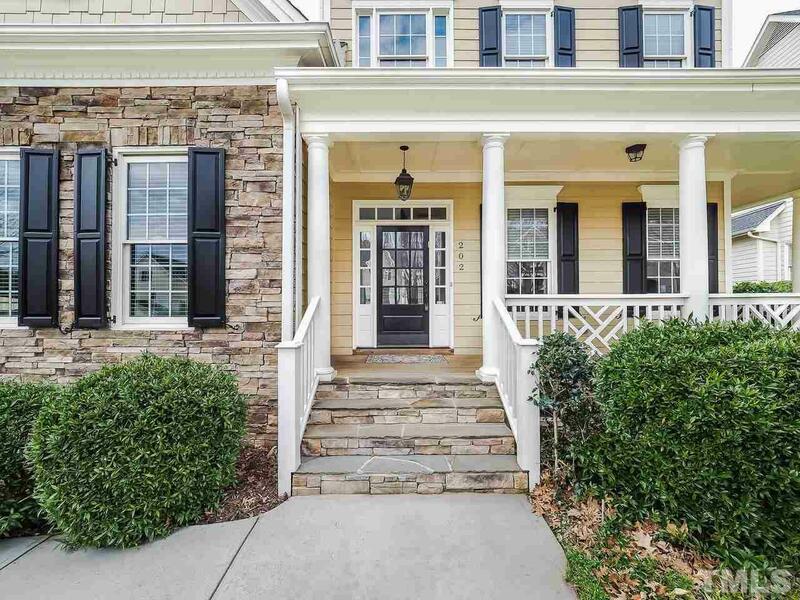 Custom home centrally located near I-40 and Research Triangle Park. New paint throughout home. Open floor plan with hardwoods throughout main floor. Gourmet kitchen with large granite counter top island, flows into bright sun filled family room with stone fireplace. Extended living space onto screen porch/sunroom overlooking private fenced backyard and patio. 3 car garage, wrap around porch, and extensive storage on 3rd floor. Irrigation System.